If you’re growing a beard, then you’re definitely experiencing an itchy beard. Nevertheless, learning how to stop beard itch can offer relief. While beard irritation is a natural part of new facial hair growth, there are several ways to keep your beard from itching. 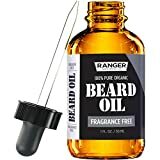 If you’ve tried and failed to grow a beard because you couldn’t find ways to make your beard stop itching, either through proper grooming and care or products (e.g. oil), this guide will help you remedy an itchy beard. From why your beard is itchy to how to stop the itchiness and maintain the perfect beard and skin care routine, check out this comprehensive resource on everything you need to know to cure the situation. 1 Why Do Beards Itch? While there are plenty of ways to stop beard itch, it’s important to know why your beard is itchy and flaky in the first place. By further understanding what causes beard irritation, guys can figure out how to maintain a healthy beard. From there, you can develop your own steps to good maintenance or buy a top-rated beard grooming kit complete with shampoo and conditioner, oil, balm, and a brush or comb. Unless you’ve been growing your beard out since you were 16, you used to shave. Unfortunately, after years of shaving, your beard hairs have become coarse and sharp. While sharp edges aren’t an issue if you continue to be clean-shaven, the problems start when you decide to grow out your beard. And as your new beard starts to push through your skin, the hair follicles can cause irritation under your beard. Fortunately, most beard itch happens during the stubble phase when your new facial hair is just starting to come in. There isn’t much you can do to get rid of the itching at this stage except to cleanse, condition, moisturize, and lightly brush your scruff to make them as soft as possible and avoid dryness. However, if your past this stage of growth and already have a full beard but are still experiencing itchiness, then you may be suffering from poor beard care. Dirty: Dirt, debris, dead skin cells, and foot particles will naturally cause beard itch. A dirty beard is likely to irritate (if not infect) underlying skin cells, which will definitely lead to irritation, inflammation, rashes and/or pimples. Dry or greasy: If your beard is excessively dry or greasy, this can also leave irritated skin under your beard. If you don’t condition and moisturize your beard regularly, the dryness will create rough, coarse hairs that will rub against your skin and likely cause pain. Severe skin irritation can even cause a rash or infection. If your beard hurts more than it itches, this is the likely reason. Messy: A messy beard full of tangles, knots and split ends will inevitably irritate you. Damaged: It’s not impossible for your beard hair to get damaged. Although this is a slightly less common cause of beard itch, these damaged hair strands are capable of spreading discomfort and soreness right down to the sensitive hair follicles on your skin. Unhealthy lifestyle: The last and most indirect cause of beard itchiness is an unhealthy lifestyle. Everyday aspects of life such as the quality of your diet, your levels of rest, sleep, and exercise, can cause an itchy beard. Now that you know about the potential causes, let’s discuss how to make your beard not itch anymore! Thankfully, it isn’t at all too difficult to stop beard itch. In truth, there are only really 5 steps to keeping your beard from itching: washing and conditioning, moisturizing, grooming, repairing, and taking better care of yourself. Here’s exactly what you need to do remedy an itchy beard and get immediate relief. Between dirt, debris, dust particles, stray hairs, dead skin cells, and everyday germs and bacteria, the first step to reducing beard itch is good hygiene. By properly cleaning your beard on a regular basis, you minimize skin irritation while ensuring maximum growth and potential. Not only should you shampoo and condition your beard 3 to 4 times a week, but you should also be sure to use products specifically made for facial hair. Everyday shampoos weren’t made for use on your beard, and some of the harsh chemicals found in certain products can strip your beard of its natural oils, leaving it dry and brittle. Instead, men who want to grow a full beard faster should consider a gentle, hydrating beard shampoo and conditioner. For the best beard shampoo and wash, you’ll want to get Professor Fuzzworthy’s Beard Shampoo. With all-natural ingredients and no parabens or synthetic fragrances, it will clean your beard while giving it a healthy shiny finish. Similarly, guys may want to invest in a natural beard conditioner. One of the best brands and products on the market is ArtNatural’s Beard Conditioner infused with Aloe vera, tea tree, argan, jojoba oil, and shea butter. If you need something that promotes growth and softens facial hair for a smooth look, you can’t beat this affordable option. After you clean your beard with a good shampoo and conditioner, you’ll want to keep it hydrated and moisturized all day. In addition to getting rid of irritation and offering relief, this will also keep your beard soft and healthy. This is where regularly applying a beard oil or balm is crucial to maintaining healthy facial hair. The best beard oils, balms and leave-in conditioners are designed specifically to keep your beard from itching, minimize beardruff and flakiness, and soften your hairs. Furthermore, when used properly, it will moisturize and nourish the skin under your beard without leaving an oily or greasy look. But you don’t need to spend a lot to enjoy the benefits of beard oil. Most of the top-rated beard products are cheap. A few of the most popular brands include Leven Rose, Honest Amish, and Smooth Viking. With all-natural ingredients and essential oils, these products will support the overall health, grooming and styling of your beard. You really can’t go wrong investing in one of these well-reviewed beard oils. Grooming your beard will also prevent the urge to scratch it. A long and tangled beard full of split ends is sure to result in skin irritation, so by both brushing and trimming your hair you can prevent this cause of beard itch. However, the benefits of brushing your beard don’t end there. Brushing and combing your beard not only helps to shape and style your facial hair while removing tangles and knots, it can train your beard hairs to grow straight and in one direction. Furthermore, brushing is critical to spreading your beard oil beyond the surface. A high-quality boar bristle beard brush will ensure your products penetrate deep and coat every part of your facial hair. Brushing your beard takes very little effort, so guys should ideally do it daily. Even the most perfect beards can experience damage. For instance, trimming away the tips of split-ends will allow the strands to start growing again. But this shouldn’t be a problem until you’ve reached at least 8 to 12 weeks. This should give your beard enough time to develop some thickness before you trim any part. And the goal should be to cut very surgically. The last and least direct way of reducing beard itch is by taking good care of yourself. Hair growth on your head and beard is directly correlated with your body’s general health. A poor diet, lack of exercise and testosterone production, bad blood circulation, high stress, and insufficient sleep are just some of the factors that can affect how fast or thick your beard grows. Here are some suggestions to living a healthy lifestyle conducive to having a nice beard. Sleep: Aim for at least 7 hours of quality rest every night. The exact amount varies from person to person, but anything below this minimum might be contributing to poor beard quality. Diet: Eat a variety of quality proteins from good sources as well as fruits and vegetables to ensure adequate vitamins and minerals. For example, choose protein sources such as chicken, fish, eggs, beans and yogurt coupled with apples, oranges, spinach, blueberries, avocados, almonds, peanuts and the like. And don’t forget to take a men’s multivitamin if you feel you’re deficient in any category. Exercise: Guys should exercise at least 30 minutes to an hour 3 to 4 times a week. Whether this means weightlifting, high-intensity interval training, or cardio, it doesn’t matter as long as you increase blood circulation and stimulate testosterone creation within your body. Stress: For most of us, cutting stress out of our lives isn’t as easy as it sounds. However, regular exercise and sleep will provide some type of stress relief. Nevertheless, do try your best to reduce stress by ridding yourself of sources and triggers. If you take care of all of those aspects of your everyday health, then you can be sure that your beard is growing at its fastest rate. Dealing with an itchy beard can be a pain. However, with a good beard routine and the use of the best products on the market, guys will find it easy to stop beard itch. Keeping your facial hair clean, conditioned and groomed is essential to maintaining a soft, cool beard without the itchiness.